Peter Kelly aka ‘Franc’ is an Internationally renowned Event & Wedding Designer. Living by the mantra ‘We create memories that last a lifetime’ Franc and his team have been creating world class bespoke events all around the world for the past 20 years. From the Caribbean to Paris and from the Philippines to Norway, Franc has crisscrossed the globe creating memorable experiences that have been written about, discussed and shown extensively on TV and social media. 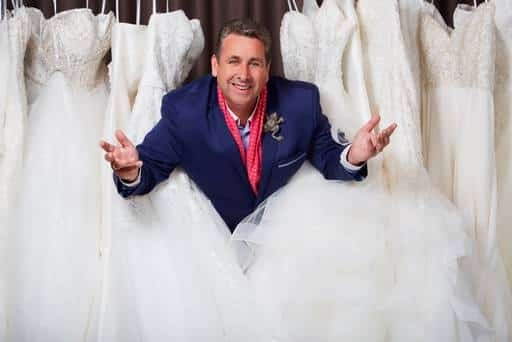 His latest TV exploit is as the face of ‘Say yes to the dress’ Ireland on RTE and TLC. He has worked on a number of documentaries including his own very successful shows, Brides of Franc made with RTE and also with the BBC and Discovery Living. · DWPC– Destination Wedding Planning Congress in Mexico, Phuket & Florence. · Engage Summits, in the Cayman Islands, Venice & Ireland. · Planners Xtraordinaire in Dubai and Lake Como. The core of his speaking work comes from private corporate events where he is asked to speak about not just the wedding sector, but also international tourism trends, managing large scale projects, creating a brand and how to give it personality in order to get noticed, entrepreneurship and his real life experiences on how to grow a business from the ground up. Events by Franc have a proven track record of success where they design, build and manage an exceptionally wide variety of projects. Franc’s experience as a Creative Consultancy Company is vast, ranging from launching one of the worlds largest container ships to being creative director for the Queen Elizabeth II visit to Cork, hosting EU Heads of State Dinners to openings of European Capitals of Culture and from being Creative Director on advertising campaigns with leading brands such as Three, Aldi & Lidl to collaborating on projects with global players such as Google and Microsoft. Franc also runs a separate and very successful company called snowbusiness.ie where he supplies snow and snow effects for movies, TV, theatre, display windows and hotels. Franc is a fun, informal and engaging speaker who is guaranteed to educate, inform and entertain any audience and is the ultimate entrepreneur. To book ​Peter Kelly for your event, contact Front Row Speakers on +353 1 485 3991 or email welcome@frontrowspeakers.com.